OK, so what do you Really Think? Remember King Louie in The Jungle Book? He had “reached the top and had to stop and that what’s bothering him” (slight paraphrase). That seems to be Donald Trump’s problem too. If Donald stays focussed on the U.S. picking fights with China, Russia or even Iran all is well with the world. As soon as he starts interfering the problems start. It appears that when he gets on Airforce One and leaves U.S. airspace, he is still thinks he is CiC or POTUS or whatever other acronym Hollywood gives the President. This week he has been in Europe and he has been telling NATO, the EU and UK how to run things. The EU tends to ignore Mr Trump and quite rightly when he tells Germany that they are in danger of being labelled currency manipulators! Each NATO member should be spending 2% of their GDP on defence. Fair enough but Belgium, for example pays 30% of that sum in pensions for its veterans. Trump tells his veterans how great they are and leaves them to wander the streets, cold and hungry. If you want to be able to pick the fights you want take on, then you should be prepared to finance them. The alternative? Be ignored when you rush into battle. How long does it take a child to realize that if someone is your friend simply because you do what they say, then they are not really your friend? It seems that prior to arriving in the UK, Trump gave an interview to The Sun, a tabloid UK newspaper, in which he rubbished the UK’s Brexit proposals, said that there was no chance of a trade deal if such a deal was struck then promoted his “friend” Boris Johnson for Prime Minister. Of course, later, when he met Theresa May, he conveniently forgot supporting Johnson for her job, told her what a great job she was doing and told her “of course there will be a trade deal, we have an extra-special relationship”. The UK is in enough turmoil following this week’s Brexit announcements without a total outsider offering his “two-penny worth”. Donald has an “if I say it, it will happen” agenda so Theresa better start packing. One thing that Trump is supposed to have said which is close to the truth, is that the UK public voted to leave the EU not be attached by some “trade-related umbilical cord. The scary talk is a little late from remain campaigners who overlooked all the stuff that was important to Brussels when campaigning for a yes vote when asked if they wanted to stay shackled. The Hard-Brexit rhetoric has got the chattering classes, well chattering. Having accused the leave campaign of scaremongering during the referendum, the “remainers” have decided if you can’t beat ‘em, join ‘em. Yes, there is still a functioning FX market, but summer has come early, not just to the UK but to traders in general. Ranges are set in stone; the euro wants to rally but no one will buy it. Sterling should be lower, and will be, as soon as Donald gets his way and Boris is installed, and the dollar is about to be renamed the Donald since no other macroeconomic or monetary policy related driver has any effect. Still there are those trend traders out there making good money even if the scalpers are not able to get involved. 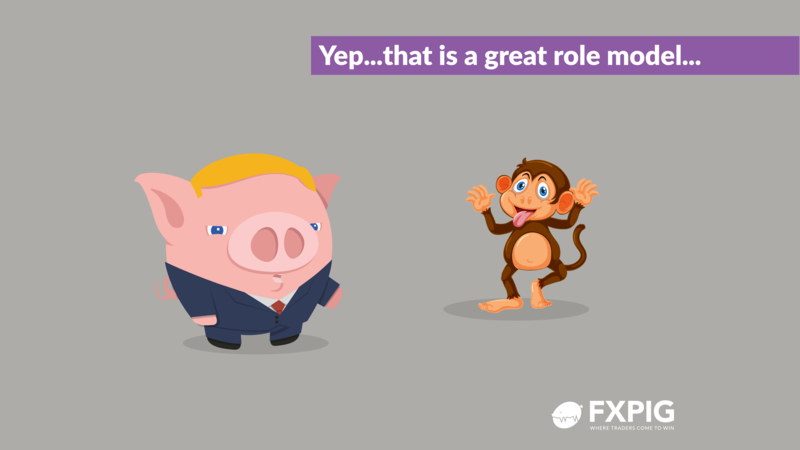 Before the Financial Crisis, Central Banks held sway, the Fed and Treasury had clearly defined roles, the Bank of England never misled the market and Mario Draghi behaved like an Italian. Now, Steve Mnuchin and Jay Powell seem to job share, The Bank of England infers (heavily) that they are about to hike rates, then try to tell us that the economy isn’t strong enough just as hedge funds fill up with nice shiny pounds and Mario Draghi becomes the most considered Italian since Don Corleone. Donald don’t hold back, you know we are all dying to hear what you have to say. Don’t worry about the topic, or your knowledge of it, we may hear but we won’t listen.